Capitalbusinessplan.com - Every business should have a strategic plan—but the number of businesses that try to operate without a defined plan that is clearly communicated from the top of the organization to the bottom might surprise you. Research from OnStrategy shows that 86% of executive teams spend less than one hour per month discussing strategy, and 95% of a typical workforce doesn’t understand its organization’s strategy. 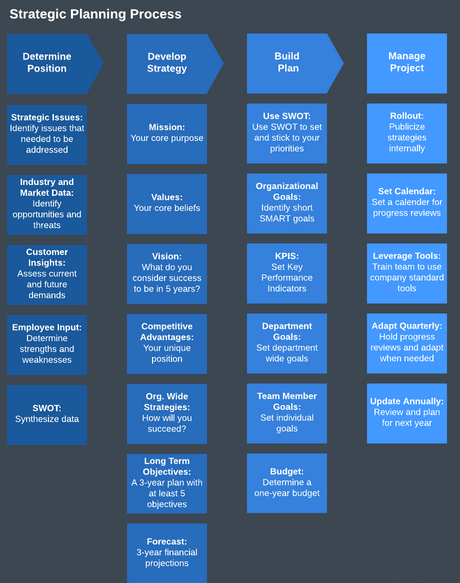 Because so many businesses fail in these regards, you can get ahead of the game using the strategic planning process outlined below. In the simplest terms, the strategic planning process is the method that organizations use to develop plans to achieve overall, long-term goals. This process differs from the project management process, which is used to keep individual projects properly planned and tasked, or strategy mapping, which helps you determine your mission, vision, and goals. The strategic planning process is broader—it helps you create a roadmap for which strategic objectives you should put effort into achieving and which initiatives will be less helpful to the business. The strategic planning process steps are outlined below. To start the strategic planning process, follow these steps. This preparation phase sets the stage for all work going forward. You need to know where you are to determine where you need to go and how you will get there. Get the right stakeholders involved from the start, considering both internal and external sources. Identify key strategic issues by talking with executives at your company, pulling in customer insights, and collecting industry and market data to get a clear picture of your position in the market and in the minds of your customers. . It can also be helpful to review—or create, if you don’t have them already—your company’s mission and vision statements to give yourself and your team a clear image of what success looks like for your business. In addition, you should review your company’s core values to remind yourself about how your company will go about achieving these objectives. 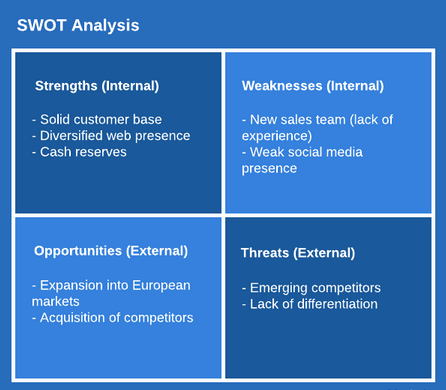 As a framework for your initial analysis, use a SWOT diagram., With input from executives, customers, and external market data, you can quickly categorize your findings as Strengths, Weaknesses, Opportunities, and Threats (SWOT) to clarify your current position. To get started, you can use more free SWOT analysis template to document your organization’s internal strengths and weaknesses, along with external opportunities (ways your organization can grow in order to fill needs that the market does not currently fill) and threats (your competition). As you synthesize this information, your unique strategic position in the market will become clear, and you can start solidifying a few key strategic objectives. Often, these objectives are set with a three- to five-year horizon in mind. Once you have identified your current position in the market and have identified potential strategic objectives in line with your company mission and vision,, you’re ready to develop your strategic plan. Which of these initiatives will have the greatest impact when it comes to achieving our company mission/vision and improving our position in the market? What types of impact are most important (e.g. customer acquisition vs. revenue)? Which initiatives are most urgent? What will we need to do to accomplish our goals? How will we measure our progress and determine whether we achieved our goals? Once you and your team have prioritized your long-term objectives, you must determine what specific goals or initiatives you will need to achieve, in order to successfully reach your objectives. Use SMART goals to determine a timeline and identify the resources needed to achieve the goals, as well as key performance indicators (KPIs) to make your success measurable. As you decide which goals to focus on, determine which initiatives you will not focus on. Truly strategic choices usually involve a trade-off in opportunity cost. For example, your company may decide to not put as much funding behind customer support, so that it can put more funding into creating an intuitive user experience. Be prepared to use your values, mission statement, and established priorities to say “no” to initiatives that won’t enhance your long-term strategic position. Once you have the plan, you’re ready to implement it. First, communicate the plan to the organization by sharing relevant documentation. Then, the actual work begins. More software is useful for mapping processes and turning your broader strategy into a concrete plan. For example, to clearly communicate team responsibilities, you can use swimlanes to illustrate the completion process and ownership for each step of the way. Set up regular reviews with individual contributors and their superiors and determine check-in points to make sure you’re on track. The final stage of the plan—to review and revise—gives you an opportunity to reevaluate your priorities and course-correct based on past successes or failures. On a quarterly basis, determine which KPIs your team has met and how you can continue to meet them, adapting your plan as necessary. On an annual basis, it’s important to reevaluate your priorities and strategic position to ensure that you stay on track for success in the long run. Over time, you may find that your mission and vision need to change—an annual evaluation is a good time to consider those changes, prepare a new plan, and implement again. 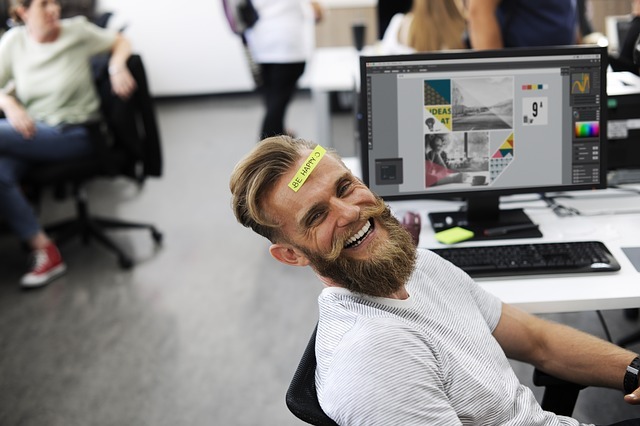 Research from OnStrategy shows that 86% of executive teams spend less than one hour per month discussing strategy, and 95% of a typical workforce doesn’t understand its organization’s strategy.